Immigration issues often directly impact family and matrimonial law practitioners. These issues can be problematic at both the pre- and post-marriage junctures. In this program, attorney Stuart Reich provides a 2015 update to his previous course. Here, Mr. Reich will discuss situations where family law and immigration law interplay and certain issues that may influence how a family lawyer would advise a client, including both a US citizen spouse and a foreign national spouse. Mr. Reich also presents timing issues concerning both family law proceedings and immigration status, discussing how these issues should affect the advice given by the attorney. Stuart Reich is a frequent speaker on immigration topics to legal professional associations, civic groups, and private concerns. He has guest lectured on immigration issues at New York Law School and Benjamin Cardozo Law School as well as at various immigration conferences, and he is actively involved in various immigration organizations and causes. Mr. Reich serves currently as the Co-Chair of the Advocacy Committee for the New York Chapter of the American Immigration Lawyers' Association and as Chair of the Department of Labor Subcommittee of the New York County Law Association's Immigration Committee. Mr. Reich is a 1991 graduate of Allegheny College in Meadville, Pennsylvania and a 1994 graduate of the Cleveland-Marshall College of Law in Cleveland, Ohio. Admitted in the states of New York, Ohio and Pennsylvania and Federally to the U.S. District Court for the Northern District of Ohio, Mr. Reich is a member of the American Bar Association and the American Immigration Lawyers Association. He has been practicing since 1995, having learned under the guidance of some of the most respected names in the field. Mr. Reich has assisted individuals from virtually all fields and in a wide array of situations, with an emphasis on technologists and those working in the sciences and health fields. Mr. Reich was raised to be aware of the privilege of living in the U.S. and the hard work that is often required to win that privilege. He brings this understanding to the practice of immigration law. Presenter was very knowledgeable in technical, complex subject area. 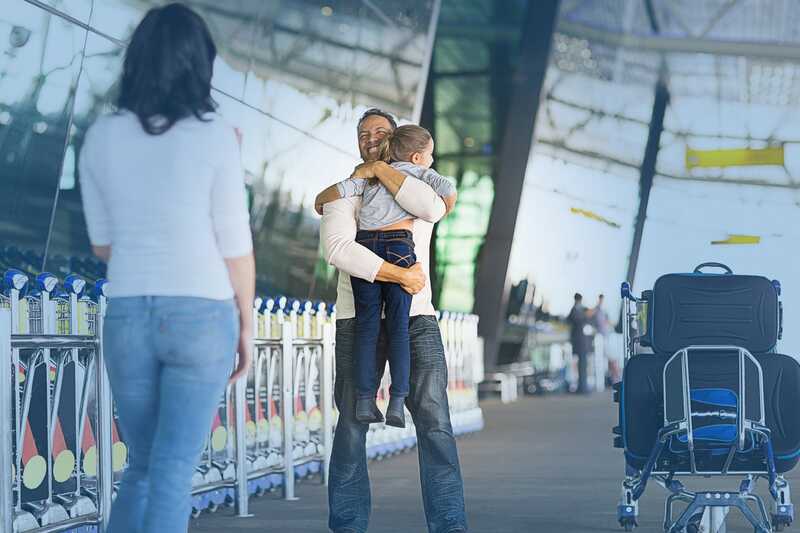 Very technical and if you find yourself in this area or with this situation, you need a good immigration attorney to help you who also has family law experience. This was an excellent course. The instructor has very good insights into key practical matters. VERY INFORMATIVE PROGRAM. THANK YOU.! Very good information and explanations. This is clearly a complicated area of law, but this program helped me to spot troublesome issues in my cases. Recommended for folks with more than basic knowledge of immigration law. one of the best overviews of family based immigration I have watched. The presenter was very knowledgeable and presented a complex and presented a complex subject matter fairly quickly. I was glad to be able to download the presentation for further study. Excellent program, both in content and delivery. Extremely good. Wish it went into more depth. Excellent instructor, held my interest. Very clear materials. Honestly, it was a really interesting CLE! Please give the teacher my compliments...I learned a lot! Excellent choice for the fsmily law practitioner. Not overly technical in a highly complicated area of practice. Thank you for the powerpoint presentation! Excellent presenter and able to really convey the law. I'd take the course again; great job! Enjoyed this presentation very much. Outside of my area of expertise but extremely informative. Speaker was effective in making the technical information understandable. Beware the ongoing Affidavit-of-Support obligation! Cannot find a better speaker. He is great! He did a great job outlining obstacles (namely petition to support). But he also provided practical solutions. He knows his subject area (would like to hear on employment and immigration). good practical explanation of otherwise confusing subject matter. My first Lawline course, looking forward to more. I appreciated the common sense advice as well as the legal instruction! This is an excellent course to give you what you must know about this area of immigration law. Interesting talk and relevant to our times.